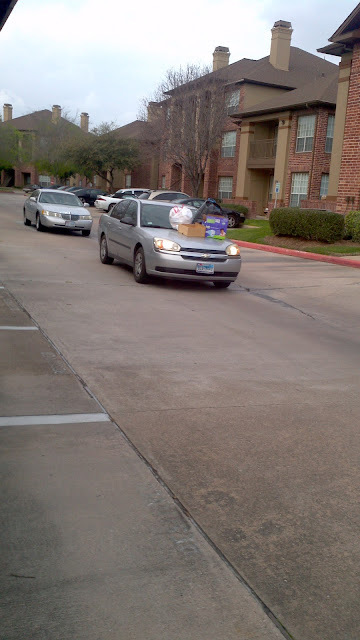 The dumpster in my apartment is in a terrible location. 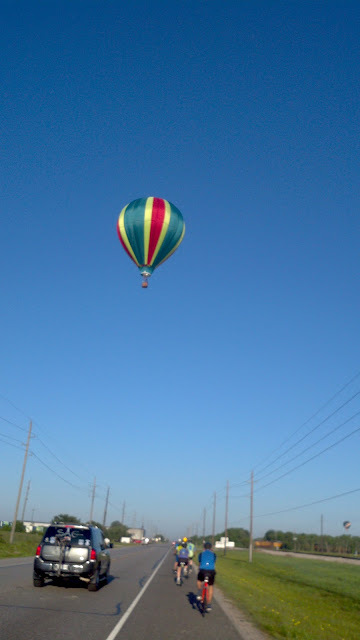 This is not an uncommon sight. The Voice comes on right before Smash, and it is the worst thing I've ever endured for 3 minutes at a time. 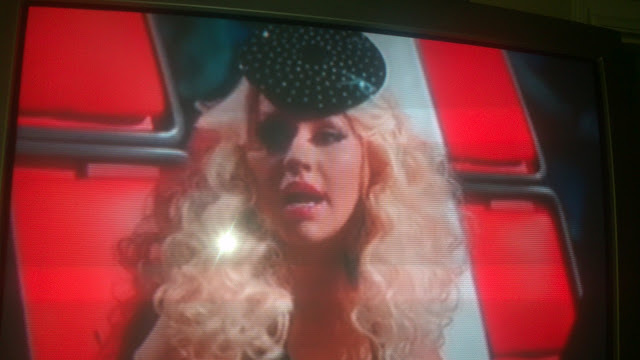 For what seemed to be 5 weeks in row, Xtina wore this ridiculous disc hat. Just to annoy me further. 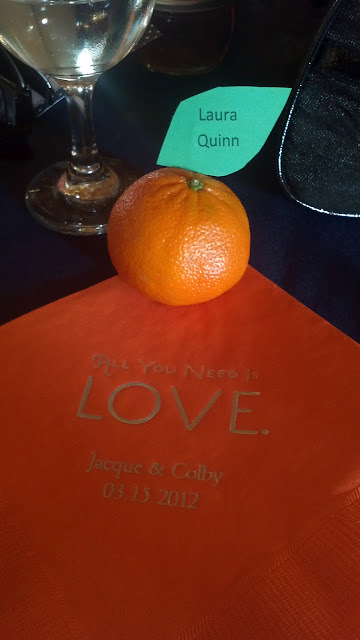 My friend Colby got married!! And I got an adorable name tag. Jordan and I went to SXSW for a weekend. 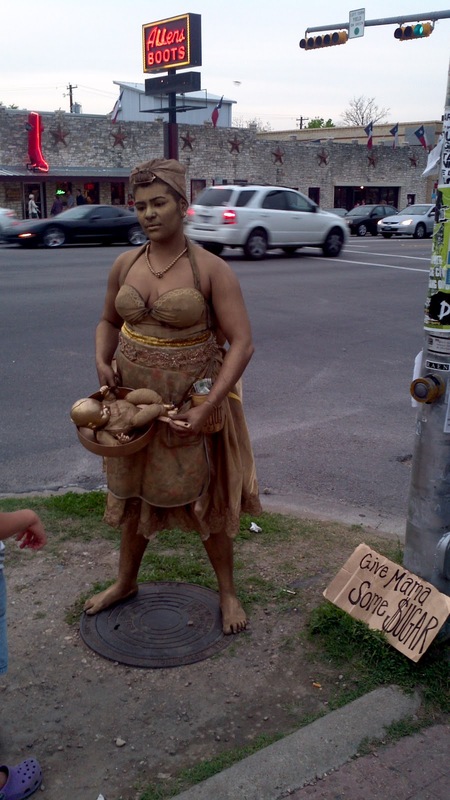 This terrifying human painted herself gold, put a fake baby in a frying pan, stood like a statue on a street corner, and wanted you to "give mama some $ugar." I didn't give her any, and she in turn gave me nightmares. 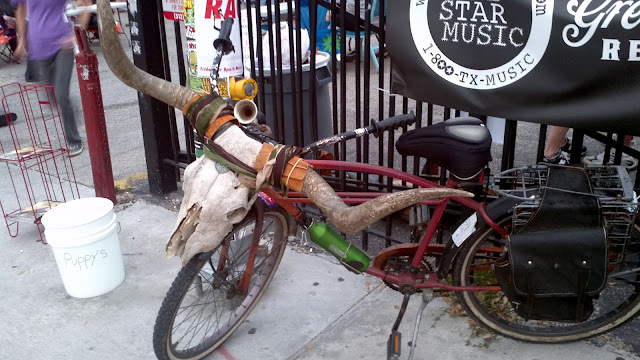 Approximately one block down the street from her was this longhorn bike. Although this was still terrifying, I did not have nightmares. I didn't notice the bucket labeled "Puppy's" next to it until later. I didn't realize that The Library had a steering wheel. But I'm glad that we discovered it! 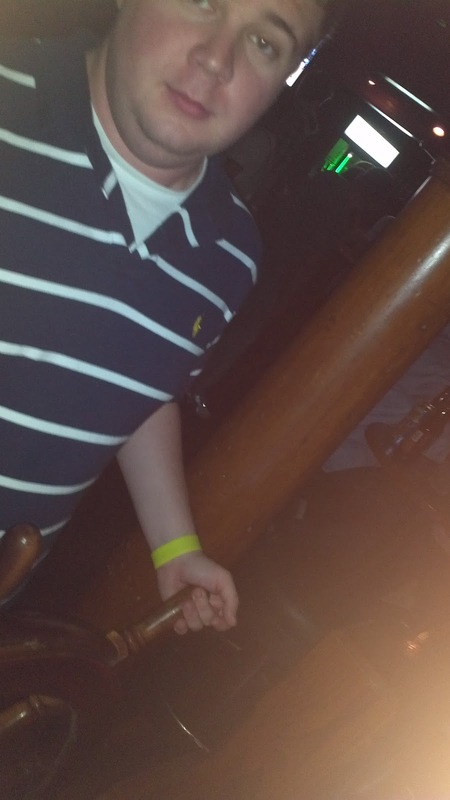 We also had a lot to drink. 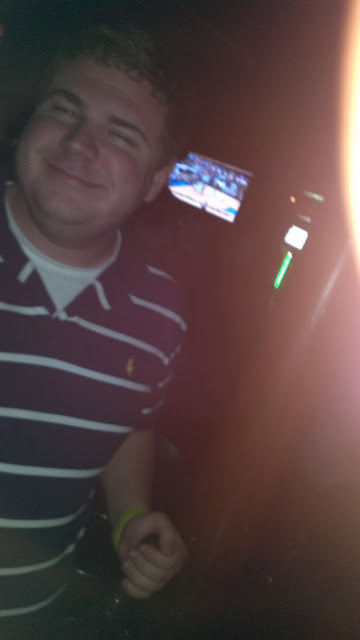 Further proof of excess drinkage. 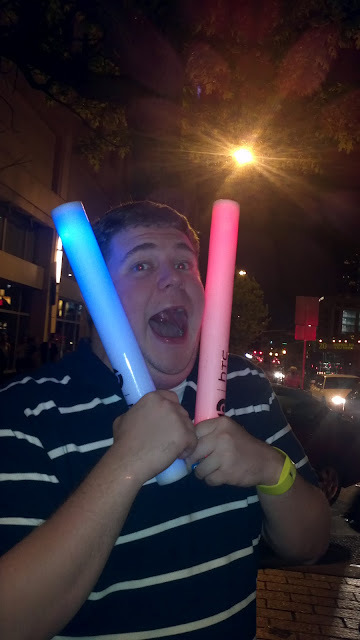 Jordan went up to strangers and convinced them to give him their giant glow-sticks. I've been training a lot for the MS-150. April 21-22! 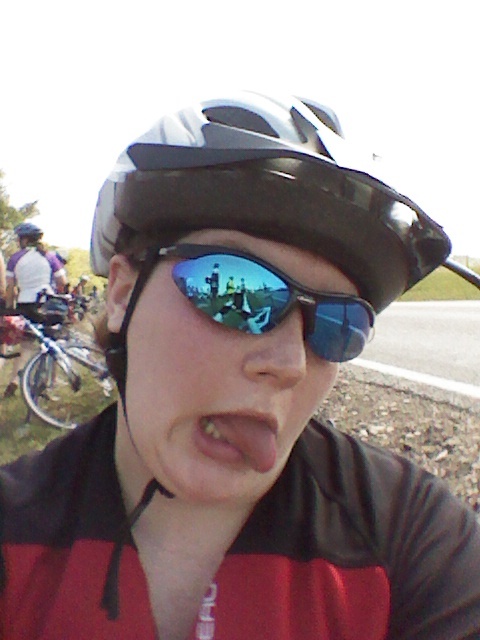 Last Saturday I unhappily did 74 miles. 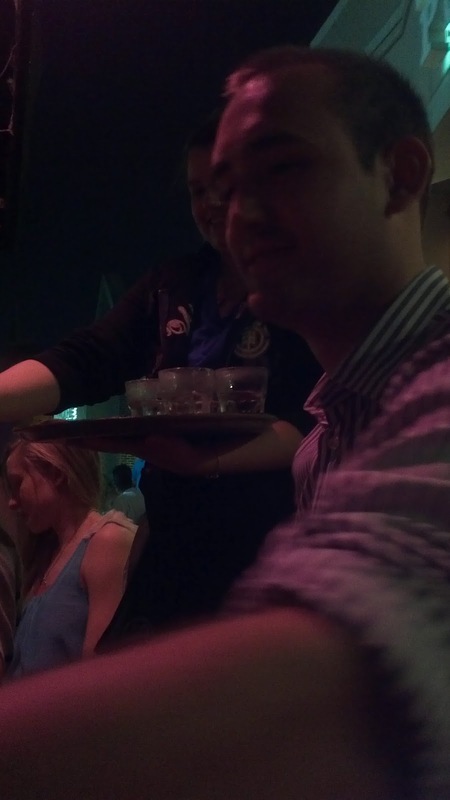 At a going-away party for a girl I barely know, I was re-introduced to her friend Jason-Statham's-Twin. Unfortunately, this was the best picture I could get without being completely obvious and weird. 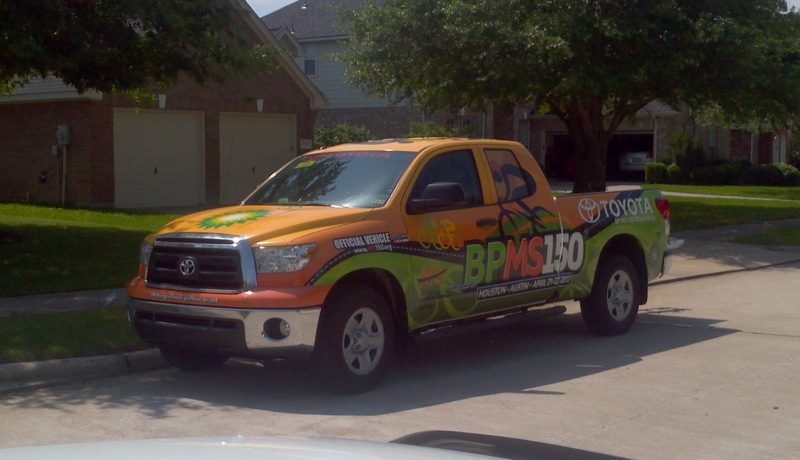 For one of the training rides, I got to ride in the official BP MS-150 truck! Smash is a weird show. This is their idea of a fancy restaurant in New York - terrifying faces drawn on the wall only add class. Driving home from work one day, I encountered Jesus. 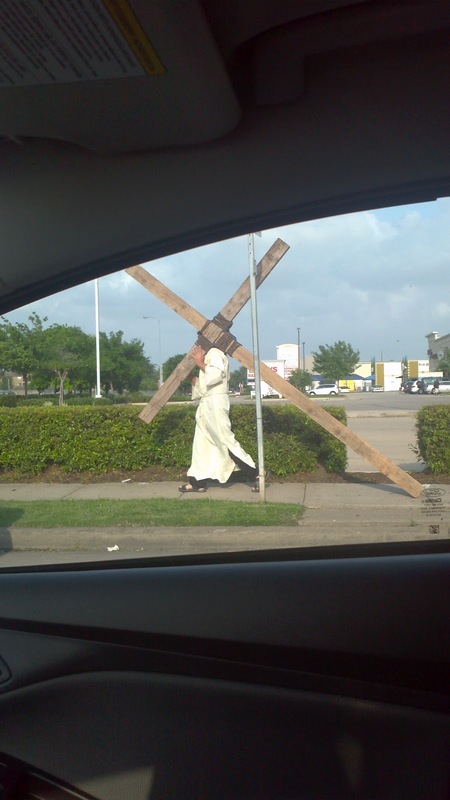 Just walking down the street. I went to a training class for work, and THIS is where their valve testing facility was located. 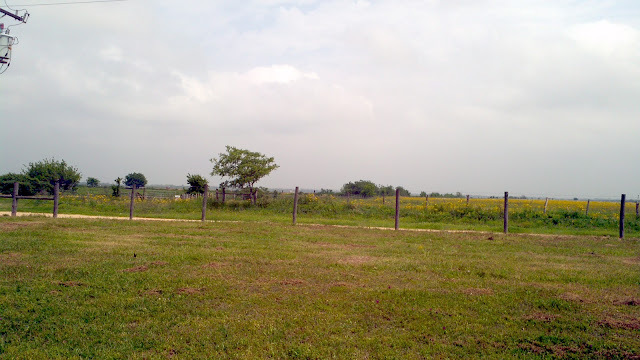 It was a good 2 hours away from other humans. I only narrowly escaped with my life. On Saturday a bunch of hot air balloons were just flying around. If you look closely, you can see another one coming up in the bottom right. 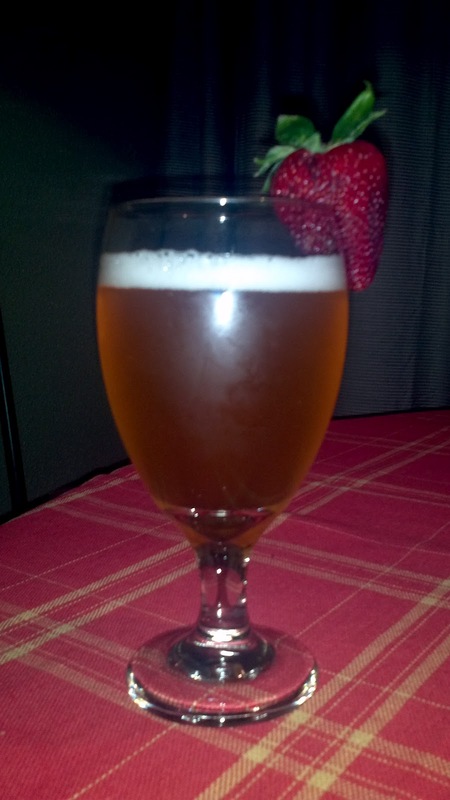 ABITA STRAWBERRY!!! I was fairly convinced that I had missed out on this delicious beer for the season, but my wonderful mother found some for me! 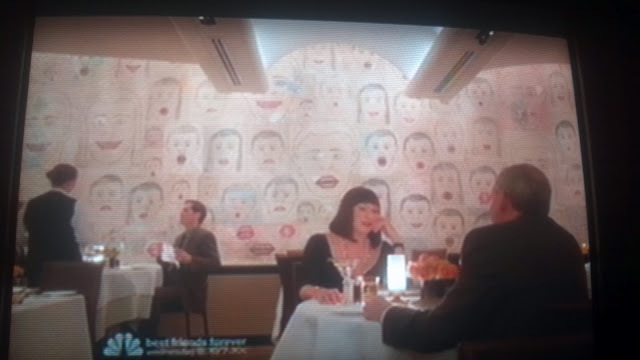 hahahaha ah the faces in the restaurant in Smash made me shout with laughter when I watched it even though I had already seen them in the photo you texted me.